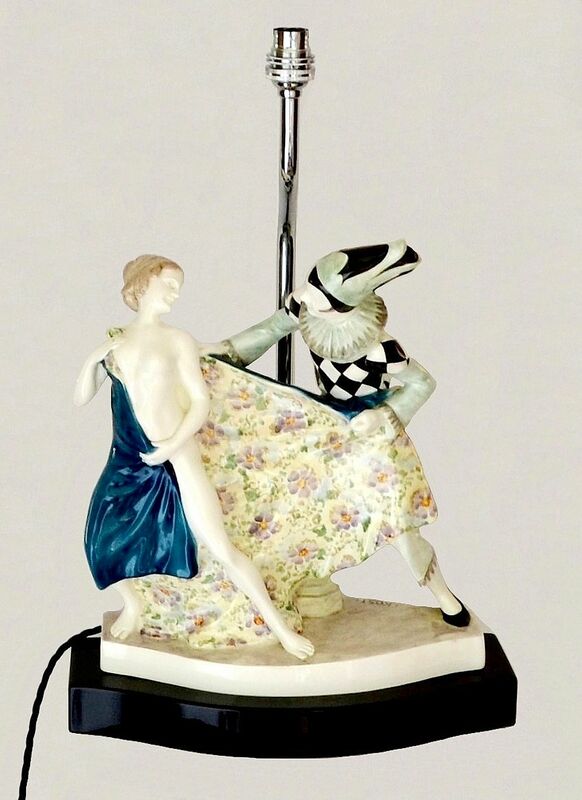 An early twentieth century Goldscheider porcelain lamp on a black lacquered base. The lamp is signed by the designer Kostal on the base and the underside has the Goldscheider mark and was made in c1926. When we purchased the item the lamp attachments had been removed and it was being used as an ornament. We have replaced the lamp attachments and added a black lacquered base to give it stability. It has been rewired and PAT tested.